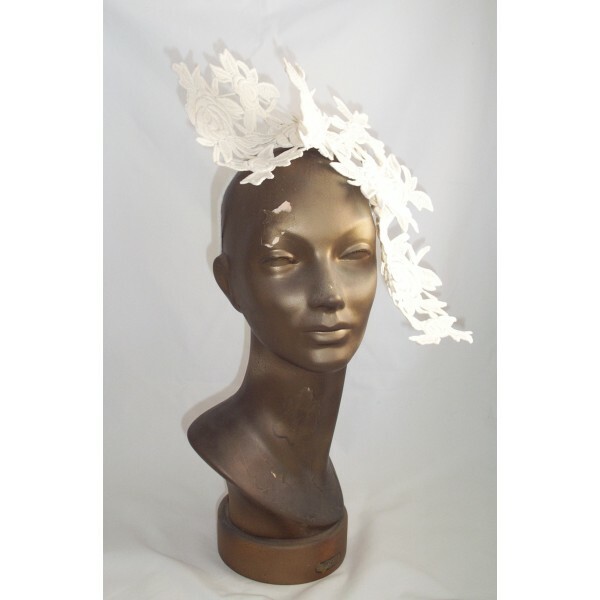 This headpiece is made from hand cut pieces of stiffened heavy cotton guipure lace, mounted on a narrow tulle wrapped alice band. 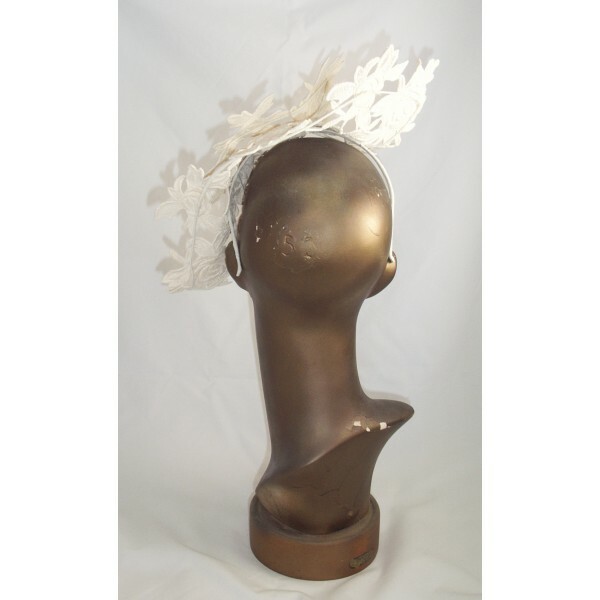 Colours available currently for this style are ivory and black (see separate listing). 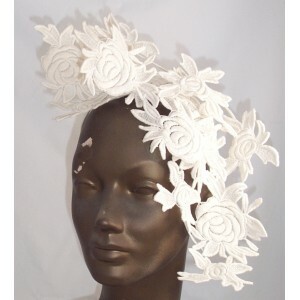 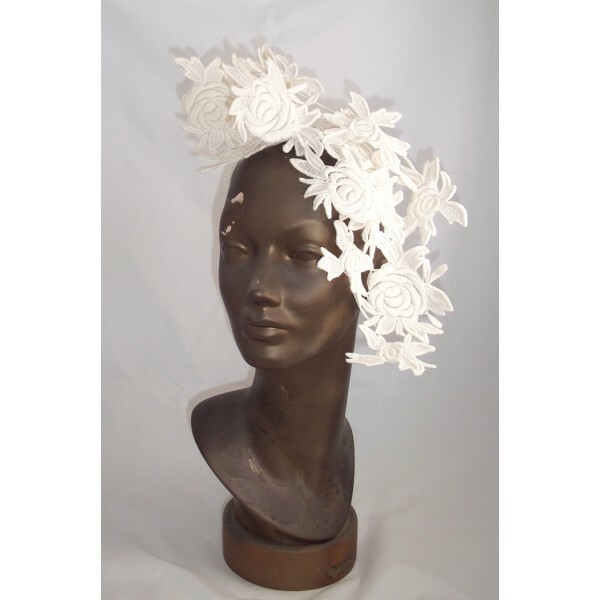 This headpiece is light and easy to wear.